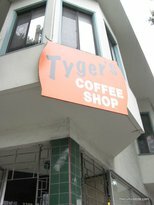 Fun exchange this morning with the manager at Tyger’s, where I go for breakfast now and then. I order my usual: one of the omelettes, whichever looks good, hold the toast. Manager: OK! [pause.] So I’m curious…you don’t eat bread? Me: Hah, no, I do sometimes, just not often. Manager: Ah, I see. Lots of other people are like that now too. No bread for them! Me: Yeah, I’m not surprised. We used to think fat was bad for us, but now it’s looking like sugar and wheat are actually the bad parts. Manager: Yeah, ok. Everyone wants to be skinny. [Looks me up and down.] But you, no belly, you need to eat bread! I’m bringing you toast right now.